KIRWIN WAS BORN IN 2004 AT CRESCENT MOON ALONG WITH SEVERAL OUTSTANDING MALE INCLUDING, SHIFTIN GEARS, LUNAR BREEZE, COPENHAGEN, AND MANY OTHERS. HE HAS WON 13 RESERVE OR COLOR CHAMPIONSHIPS, THE LAST BEING WHEN HE WAS 3 YEARS OLD. 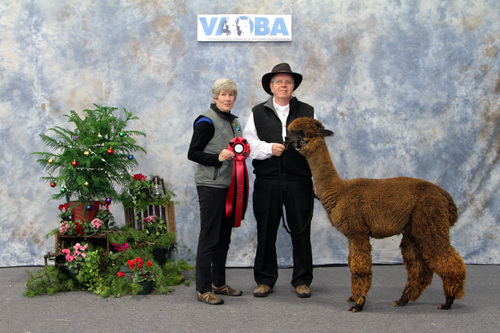 HIS CRIA'S COME IN MANY COLORS, EXHIBITING KIRWIN'S PHENOTYPE, WONDERFUL FLEECES, AND MANY CHAMPIONSHIPS OF THEIR OWN. CRESCENT MOON DID NOT UTILIZE KIRWIN FOR OUTSIDE BREEDINGS, EXPECT FOR THEIR CLIENTS. WE ARE EXCITED TO INJECT HIS BLOOD INTO OUR PROGRAM AND OFFER HIM ON A LIMITED BASIS FOR OUTSIDE BREEDING. 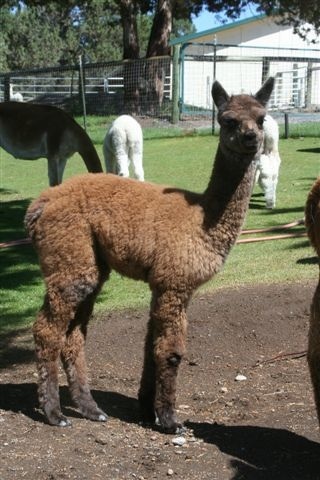 On June 16, 2014,Adelena delivered a beautiful fawn female cria, sired by LBA's Theophilus. Photos of Sophia are at the right. On June 19, 2015, Adelena delivered another beautiful fawn female cria, sired by 5X Champion and 12X Blue Ribbon Winner, A.L. Papa's All In Favor. a Jeremiah son. 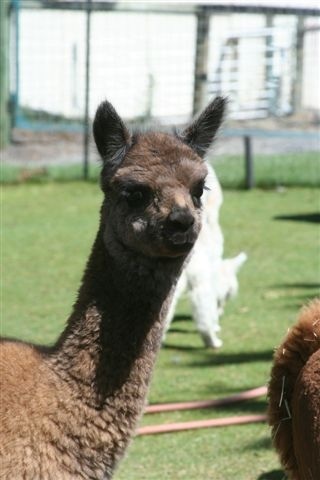 Adelena continue to pass along the Elite fineness and soft handle, and this latest cria has added the crimp style and density from Favor. 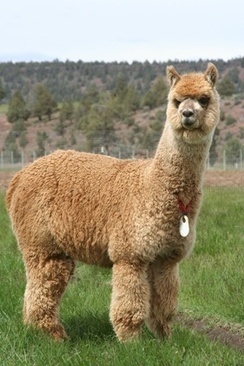 This Herdsire is the complete package of fiber, genetics and conformation. He has a presence that demonstrates the Champion Herd Sires in his genetic background..... Accoyo Elite, Legacy, Vengador, Danko, Royal Fawn, Rayo Del Sol and his sire, Kirwin.